The business was constantly being regulated and reregulated, but abuse of the animals was common practice. The ­horses were the victims of the struggling, underpaid carriage drivers' rage, as well as of the drive for profits. Children tossed firecrackers at them on the street, and one boy was observed applying honey to a lamppost in subzero weather, hoping to lure a horse whose tongue would freeze to the iron when the animal licked it. On the one hand, the owners needed healthy, well-treated horses from which they could extract years of work -- and the ASPCA ensured that standard was met. On the other hand, the insurance companies would not pay for lame horses if the policyholder shot them himself, so Bergh's ASPCA operatives would obligingly shoot the animals instead. The anti-cruelty society quickly became the leading killer of horses in the city. That's not the case anymore, though: the ASPCA is now one of the leading opponents of the horse carriage industry, claiming that New York's present-day urban environment is no place for horses. And the conditions for carriage horses are bleak, according to Siegel's report. Manhattan has four antiquated stables where the horses live, on the upper floors of old buildings that only sometimes have windows in the stalls. Many of the stalls are completely dark at night -- but it doesn't get much brighter for the horses in the morning. Carriage horses are subject to a strict schedule, spending 9 hours each day harnessed and on a loop through Central Park. Their shifts are shorter in the wintertime, when daily temperatures can reach single-digit lows, but otherwise the routine remains the same. "This goes on for years -- for fifteen, possibly even twenty years," Siegel writes. 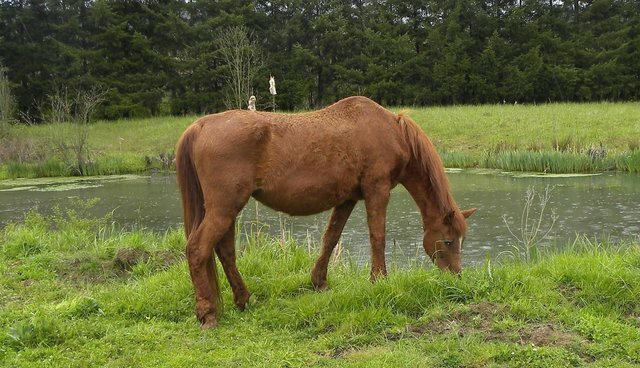 "After that, the likelihood is strong that the horse, old and tired, will be sold to a slaughterhouse, where she will be euthanized, chopped up, and packed into cans of dog food." As we've written before, this will not be the outcome for New York's carriage horses after the industry is abolished, despite rumors that the ban will send animals to their deaths. The ban will send carriage horses out of the city soon and, as supporters have made clear, industry reform is not a viable option. "Now that we've been led... to include a belief in animals as thinking, feeling, soulful beings," Siegel writes, "mere reform would be seen as capitulation to cruelty."